The SSA-R2000V reader comes sealed in solid epoxy and aluminum providing reliable indoor/outdoor performance and is weatherproof (IP68). 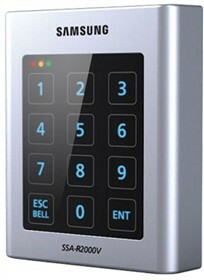 The Samsung SSA-R2000V has many exciting features for users of all types. The Samsung SSA-R2000V is sold as a Brand New Unopened Item.